For architectural and occupancy requirement we provide basements in our buildings. This offers us more space and accommodate more facilitates within the buildings. Moreover, the removed soil inherently offers an advantage of low stress on underneath soil. So basements are provided removing soils and often they or some portion of them are constructed below water table in surrounding soils. With many advantages, basement is often reported to have problem with water tightness. Now consider how do we construct basement? The lowest portion of basement has only contact to soil beneath them. The upper levels (basement floor) have no contact with soil underneath; only basement wall or foundation wall have contact with soil on their sides. The bottom most portions of basement essentially a foundation or a part of foundation. We can construct basement with column footings, the footings are connected by slab which is usually thin as bearing pressure is considered mostly beneath footings. Another option is again a thin connected slab spanning for pile caps. 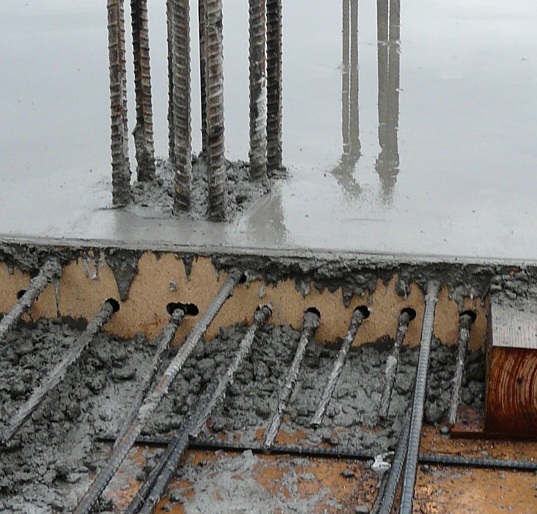 Sometimes piles raft foundation is also adopted. We are discussing were about raft foundation as basement of a building. The thin slabs we are discussing often fail to provide water tightness to basement. In these cases, stress concentration is occurred at junction of the footing to slab or basement wall to raft (slab) which leads to cracking. So raft foundation is the best choice unless the economic consideration forces to use such weak slabs. Now consider basement is placed above ground water table (say ground water-table is low). Even in this case, water penetrated from surface by any source (say rainfall, irrigation etc. ), the same problem of water proofing is observed. 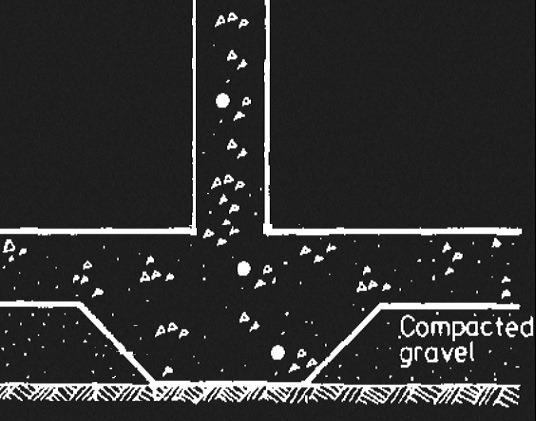 The long-term accumulation of water above impermeable soils (permeability<0.1 mm/sec) provides great problem and if clayey soil has expansive nature, the condition becomes severe; especially consider the building site having sloping ground where water drains toward building having large contact area to foundation soil. Basement wall should be designed to have capacity of cantilever retaining wall not considering support provided by floor immediate over it. While construction of basement wall it is almost impossible to provide supports by raking struts (temporarily) until supports of upper floor (may be intermediate basement or ground floor) is completed.